The Newport Firm Twin Firm Innerspring Mattress and Foundation by Mattress Direct at Northeast Factory Direct in the Cleveland, Eastlake, Westlake, Mentor, Medina, Macedonia, Ohio area. Product availability may vary. Contact us for the most current availability on this product. 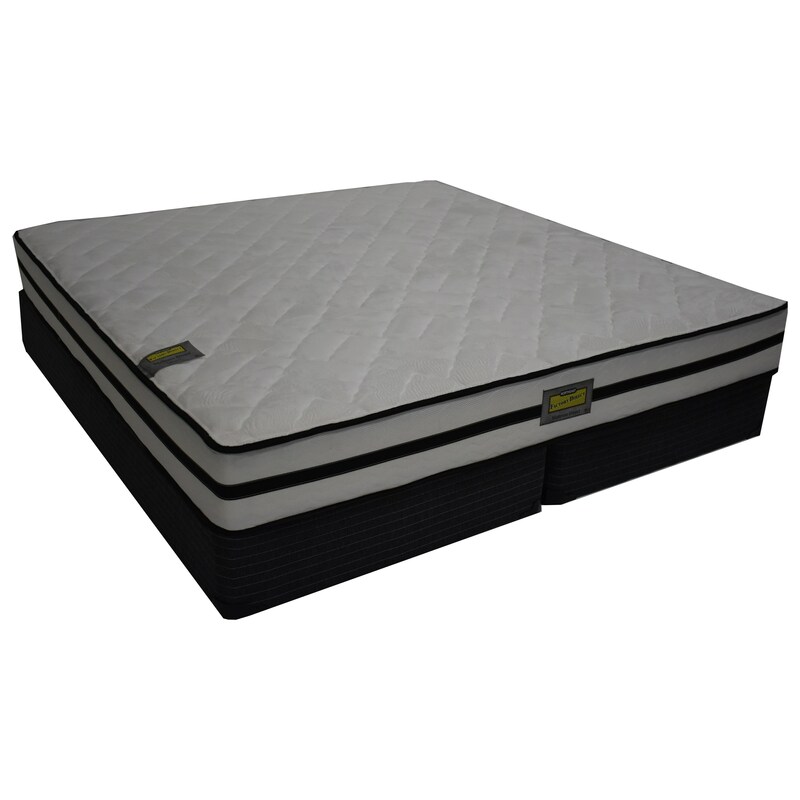 Fndtn-T Twin Foundation 1 9"
The Newport Firm mattress is a value priced item that provides comfort and support. The 416 High Profile Bonnell Coil System gives you improved support responsiveness while the Dual Layer of Firm Foam and Extra Firm Fiber Pad provide further support and let you have a good night's sleep. This affordable mattress is good for a child's room. The Newport Firm collection is a great option if you are looking for Mattresses in the Cleveland, Eastlake, Westlake, Mentor, Medina, Macedonia, Ohio area. Browse other items in the Newport Firm collection from Northeast Factory Direct in the Cleveland, Eastlake, Westlake, Mentor, Medina, Macedonia, Ohio area.